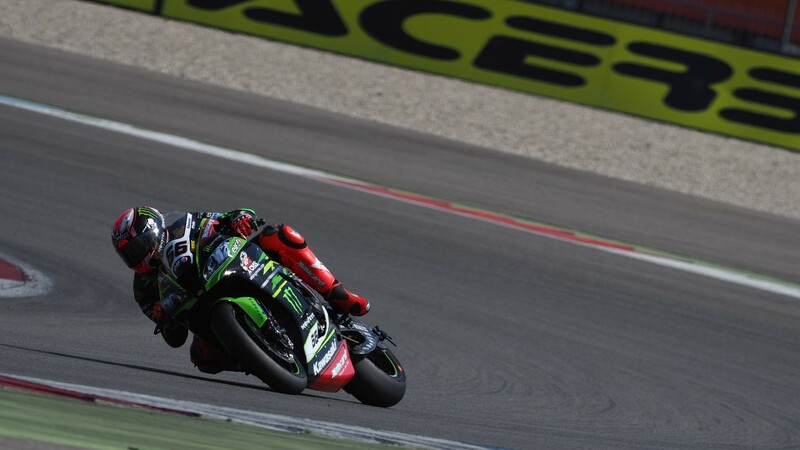 Jonathan Rea (Kawasaki Racing Team WorldSBK) slightly improved on his Free Practice 1 best lap to take top spot in the second session at TT Circuit Assen, as the fight to enter tomorrow’s Tissot Superpole 2 tightened up. 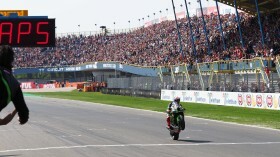 While the MOTUL FIM Superbike World Championship leader remained at the top during the entirety of FP2, teammate Tom Sykes (Kawasaki Racing Team WorldSBK) did close the gap to just 0.078 seconds, becoming just the fourth rider to run a sub-1’36 lap today and completing a KRT one-two at the top. 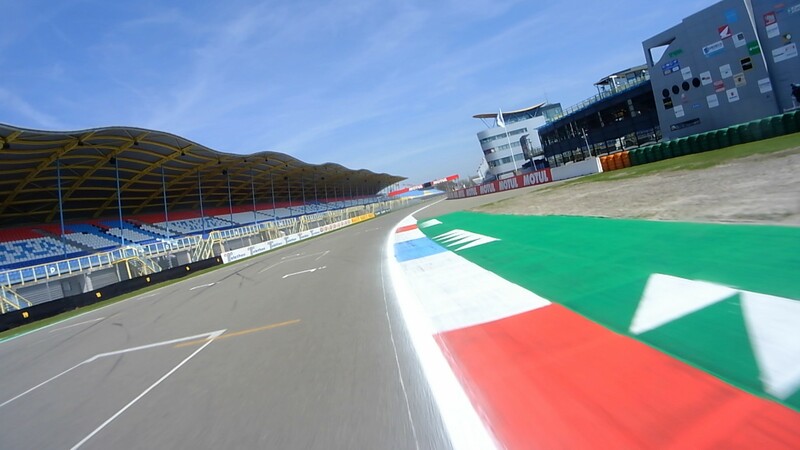 Local hero Michael van der Mark (Pata Yamaha Official WorldSBK Team) was one of only three riders unable to improve on their FP1 laps, recording just the tenth best time of the session. 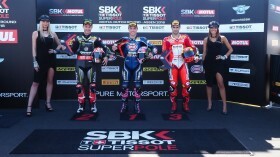 However, he remains third overall and in a great position to qualify for tomorrow’s Superpole 2. Third in the day and fourth overall was Marco Melandri (Aruba.it Racing – Ducati). The battle to qualify directly for Superpole 2 tightened up, with just three tenths of a second separating fourth to tenth. Jordi Torres (MV Agusta Reparto Corse) moved up to fifth overall, with a blistering run just two thousandths of a second shy of 1’36, while Lorenzo Savadori (Milwaukee Aprilia) overcame his FP1 crash with the sixth best time. Xavi Fores (Barni Racing Team) and Loris Baz (GULF Althea BMW Racing Team) climbed up the ranks to seventh and eighth respectively, at the expense of British duo Alex Lowes (Pata Yamaha Official WorldSBK Team) and Chaz Davies (Aruba.it Racing – Ducati), who sit ninth and tenth entering this afternoon’s decisive FP3. Jake Gagne (Red Bull Honda World Superbike Team) had a scary crash with fifteen minutes to go, his bike flipping at high speed upon contact with the kerb. The American was quickly taking to the medical centre for further evaluation. The final Free Practice starts at 16:05 (14:05 GMT). 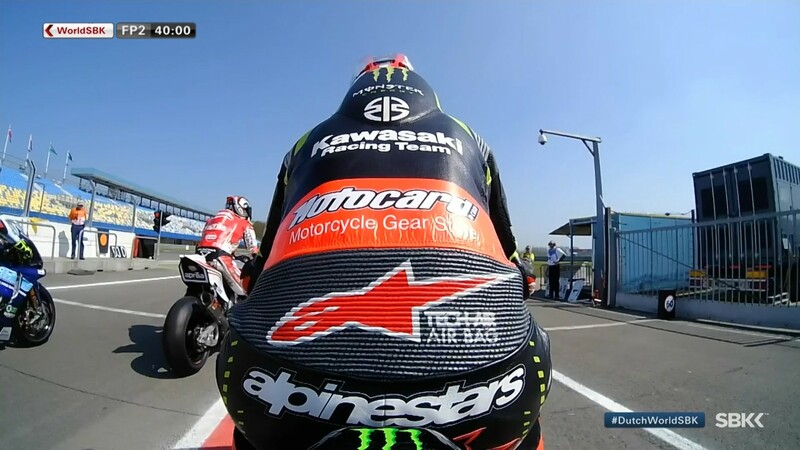 Who will make it through to the Superpole 2? 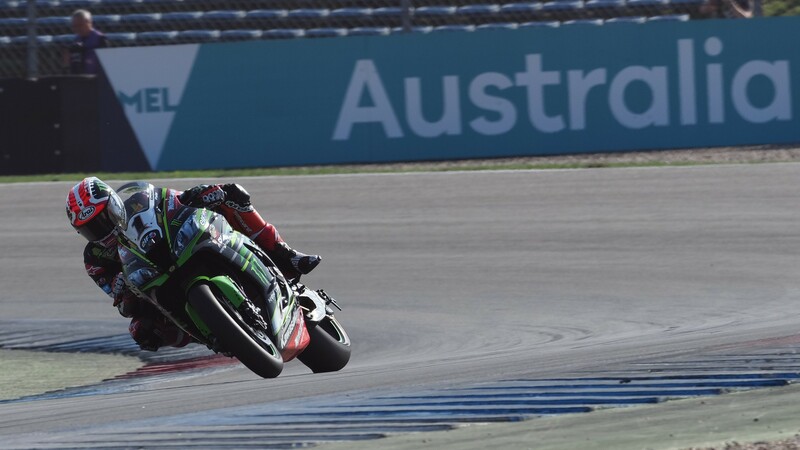 Find out live thanks to the WorldSBK VideoPass.